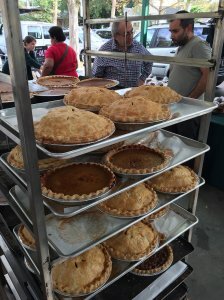 The Davis Farmers Market extends its hours on Wednesday, Nov. 21 for its annual Pre-Thanksgiving Market. The market will open from noon to 6 p.m., with a bounty of seasonal produce, table décor, meats, cheeses, olive oil, honey and wine. Fresh-baked items include gluten-free pumpkin and apple pies, breads, stuffing mix and cupcakes. Regular winter hours for the market, at Third and C streets, are 3-6 p.m. on Wednesdays and 8 a.m. to 1 p.m. Saturdays. For more information, visit www.davisfarmersmarket.org or the Davis Farmers Market Facebook page.